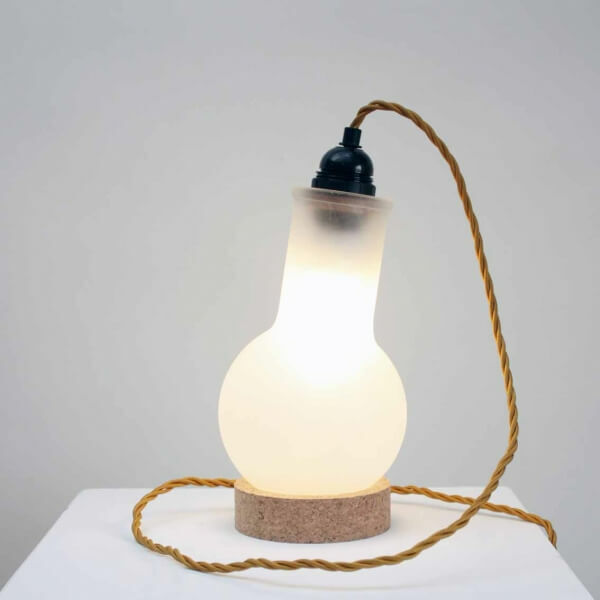 this lamp uses genuine laboratory parts, the light is provided by an eco bulb inside the sandblasted Pyrex flask. Cork, Pyrex flask. 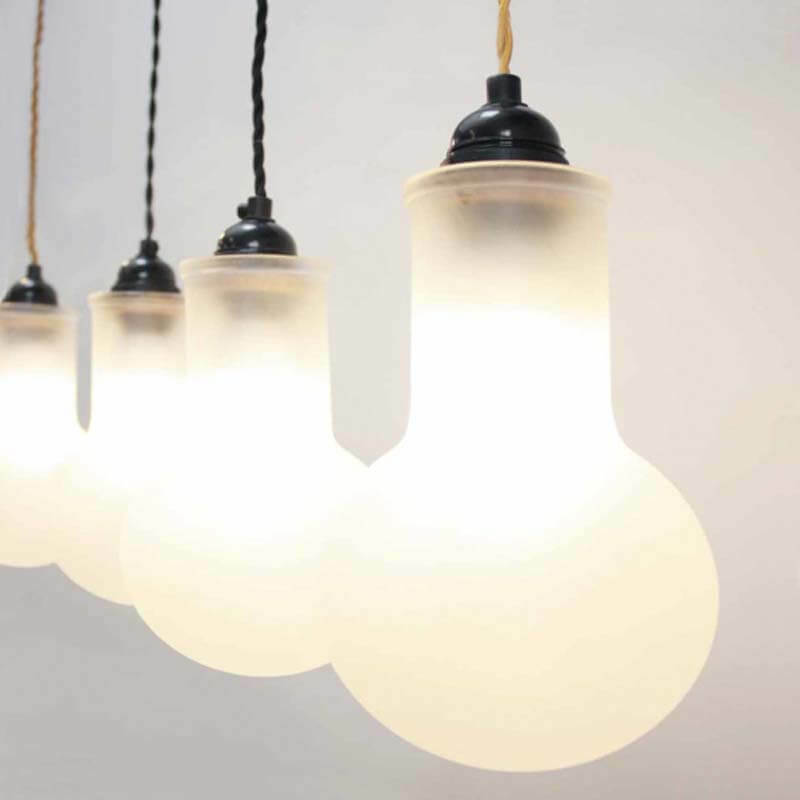 Low energy bulb, braided flex.